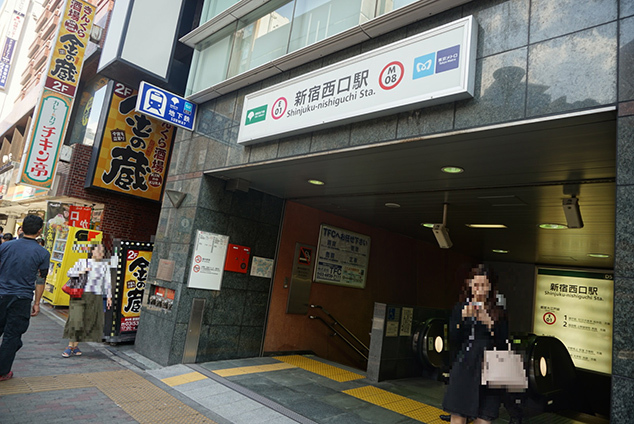 1.Let’s start from JRShinjuku Station West Entrance. 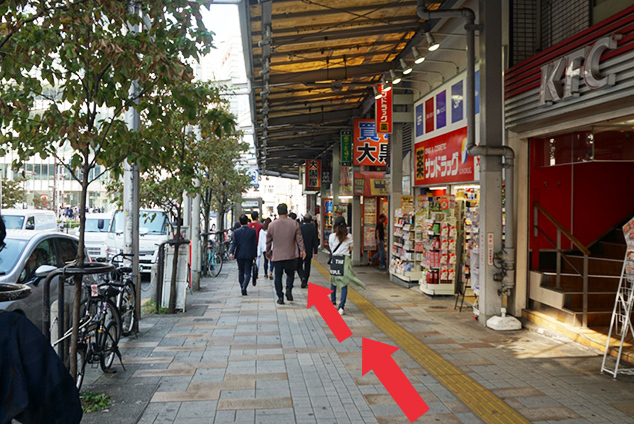 2.You can see Odakyu AZUR on the left side right after you come out. 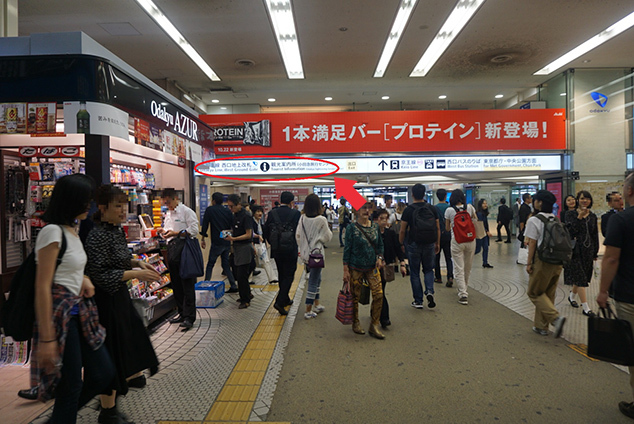 Follow the sign “Odakyu Line, West Ground Gate”. 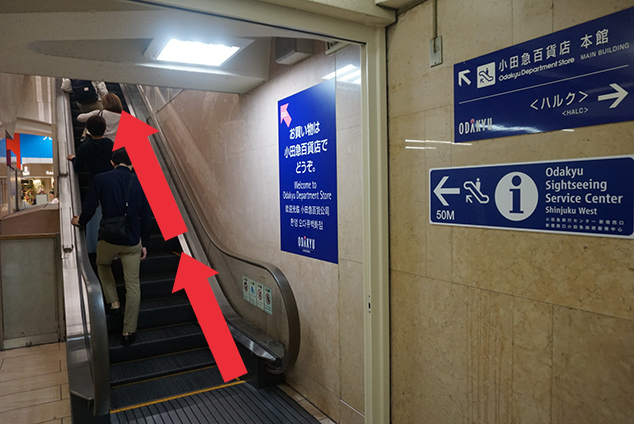 3.Please take the escalator going up to Odakyu Department Store direction. 4.Turn right and go outside. 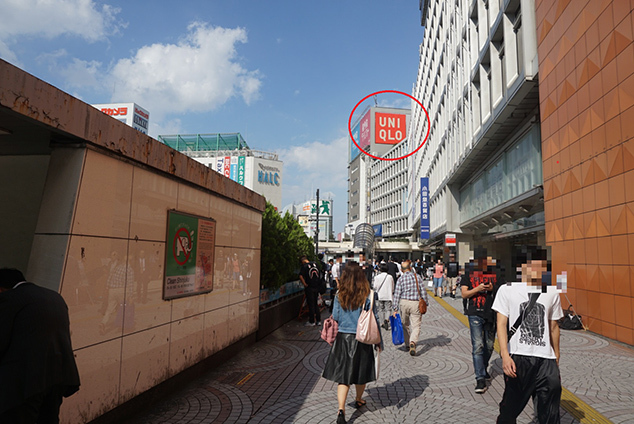 5.Turn right and you can see UNIQLO sign. Go straight toward it. 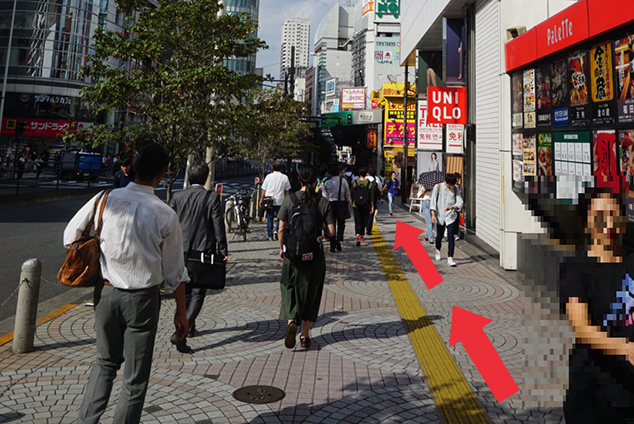 6.You can find UNIQLO on your right side. Keep going straight to the same direction. 7.There is KFC on your right side. Keep going straight. 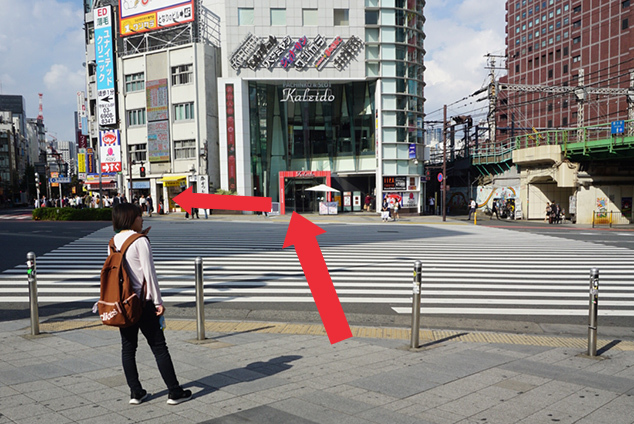 8.There is a big crosswalk.Please cross here and go straight on the left side. 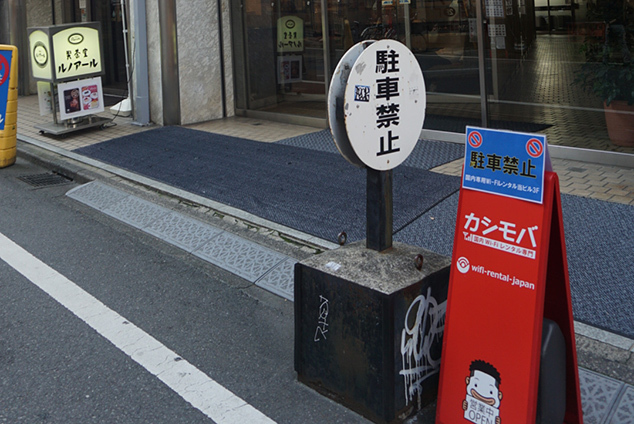 9.You can find Gyukatsu Motomura(Black and White Sign) and keep going straight. 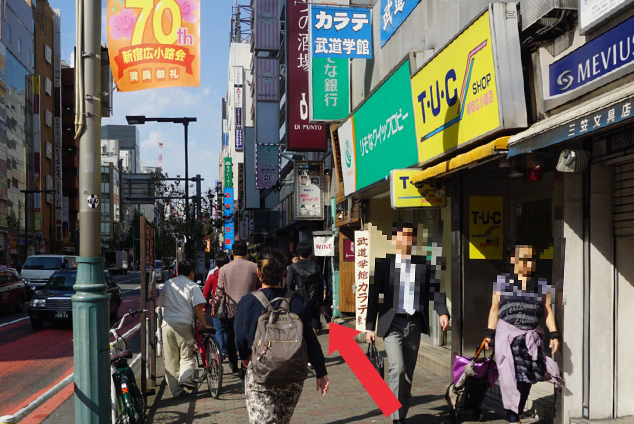 10.There is a TUC(Yellow Sign) on your right side.You are on the correct direction. Keep going straight. 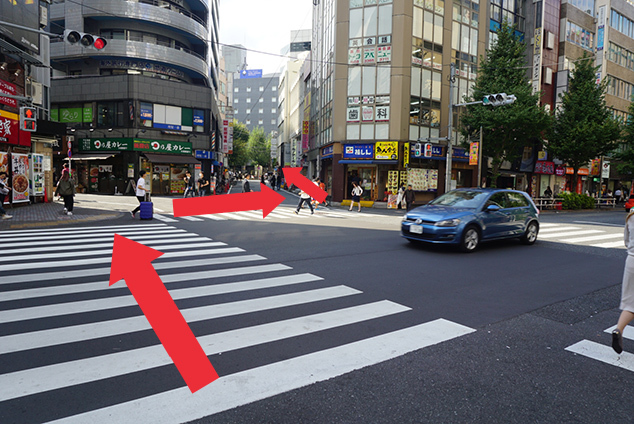 11.You will meet crosswalk.Please follow the direction drawn in this picture. 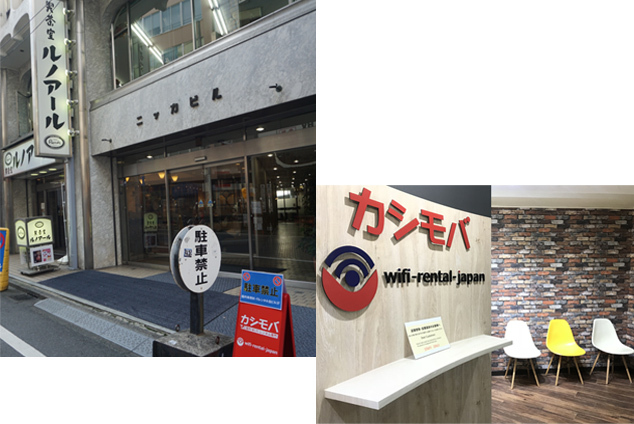 12.You will see red sign of wifi-rental-japan. 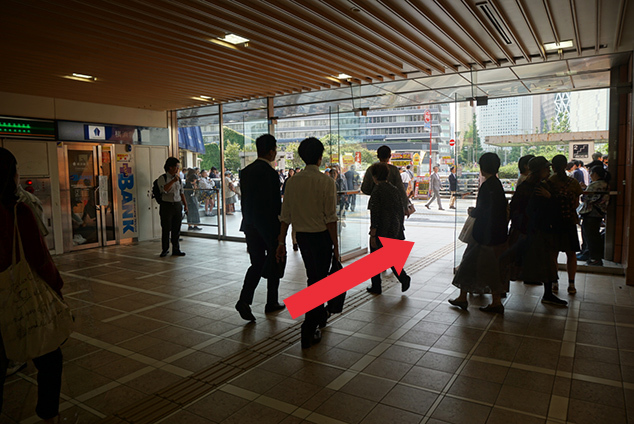 Please come inside this building and come up to 3rd floor. Arrived! We are always waiting for you! 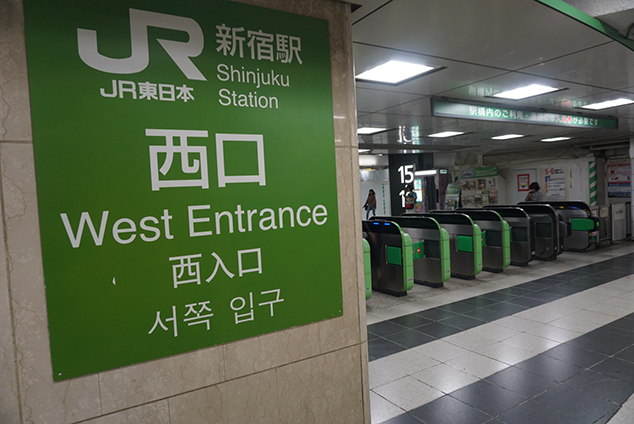 1.Let’s start from Shinjuku-NishiguchiD5 Exit. 2. When you come out from the station, turn right and go straight. 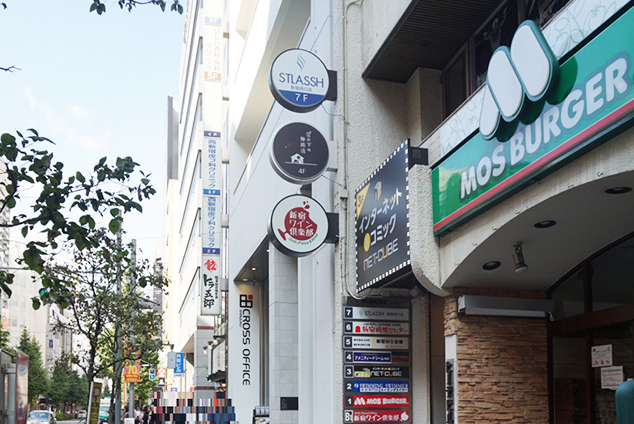 You can find MOS BURGER(Green Sign) on your right side. 3. You will meet crosswalk. 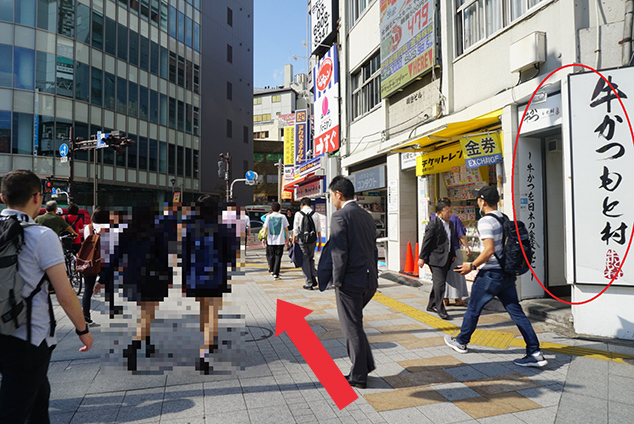 Please follow the direction drawn in this picture. 4. 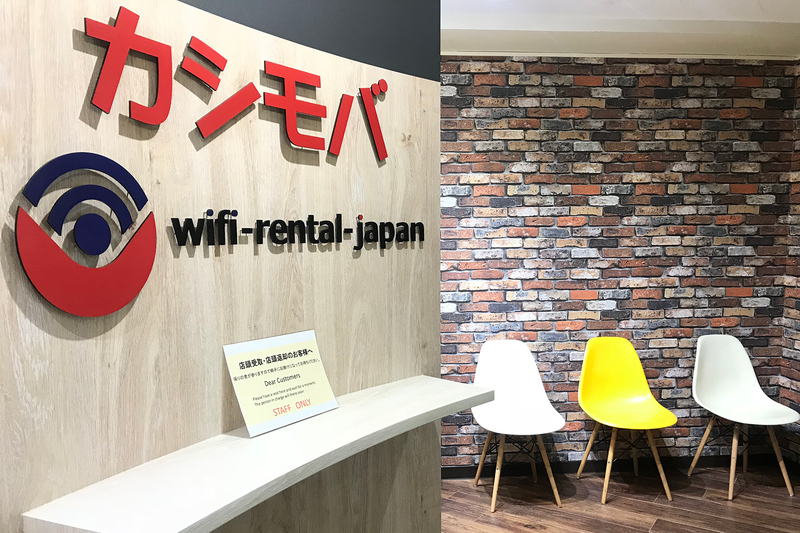 You will see red sign of wifi-rental-japan. Please come inside this building and come up to 3rd floor. 5. Arrived! We are always waiting for you!